Film short introduces you to the Advocates. The Montana and Wyoming Legislature dismissed the idea of a buffer zone for wolves that wander outside Yellowstone, instead instating a law prohibiting such buffer zones. The film takes viewers through the controversy surrounding Yellowstone National Park wolves being legally hunted in Wyoming, Montana & Idaho when they wonder from the sanctuary of park. 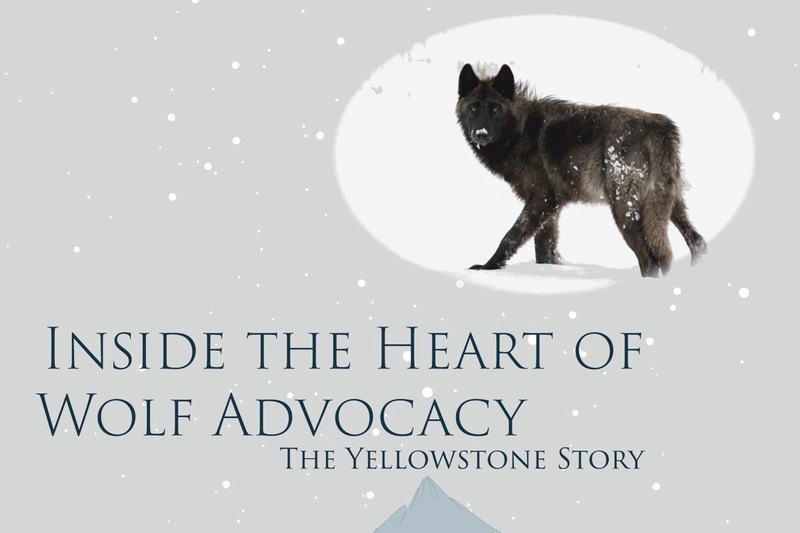 The film takes you into the advocates lives, why they advocate, the work they do, and how the advocate’s work will preserve the legacy of Yellowstone Park wolves. Documentary film Inside the Heart of Wolf Advocacy: The Yellowstone Story tells the story of wolf advocates working to preserve the legacy of Yellowstone National Park wolves from an uncertain future because of legal wolf hunts just beyond the park’s border. A famous wolf, known as 06, lost her life to a trophy hunter as she left the park’s sanctuary in 2012. Six years later 06’s daughter, known as Spitfire, wolf 926F suffered the same fate in November 2018. Today, Wolves in Yellowstone have become the “rock stars” of their species due to the hundreds of thousands of people that venture into the park hoping for a glimpse of a Yellowstone wolf. The death of 06 and other collared wolves has ignited a battle to create a buffer zone around Yellowstone National Park to protect it’s wolves from legal trophy hunts taking place in Wyoming, Idaho & Montana. These three states surround Yellowstone National Park. Meet the advocates that work to preserve the legacy of Yellowstone National Park wolves as they face an uncertain future from legal trophy hunts just beyond the border. We’ve begun to raise funds for filming, equipment, graphic design, and much more of the expenses involved in creating a full documentary featured like this film.